A postnuptial agreement serves the same essential purpose as a prenuptial agreement – protecting each spouse’s income and assets in case the marriage ends – but is created after a couple is married, rather than before the wedding. Most people are not as familiar with postnuptial agreements, but their popularity has been increasing in recent years. 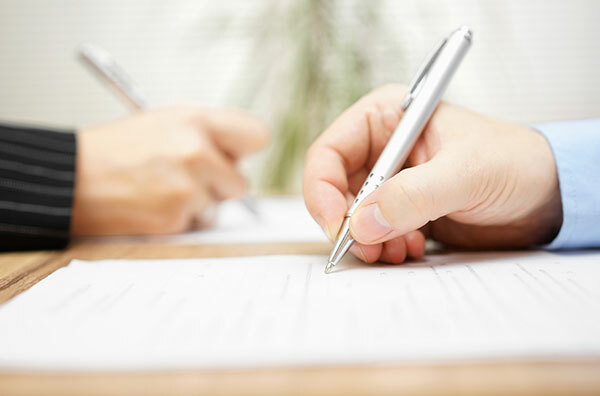 There are many reasons married couples may want to create a postnuptial agreement, even when a prenuptial agreement wasn’t necessary or considered prior to the marriage. Postnuptial agreements can be useful when one spouse experiences a major financial change, like a promotion, inheritance or rapid and immense growth of a business during the marriage. 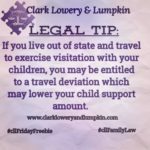 A postnup can offer the same protection as a prenup in this case, protecting your assets in the event of a divorce. 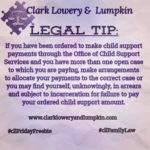 Couples who frequently disagree over their finances and are at risk of divorcing over the subject sometimes find that a postnuptial agreement can relive stress and strengthen the marriage. Couples often use postnuptial agreements as a tool in the reconciliation process when one spouse engages in an extramarital affair. A post nuptial agreement can help the other spouse regain security, and preserve his or her financial future in the event of another affair. As with a prenuptial agreement, it is important that both parties be represented by an attorney when entering into a postnuptial agreement. Independent representation ensures the most equitable outcome for both parties and bolsters the agreement’s enforceability. 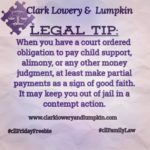 The attorneys at Clark Lowery and Lumpkin have experience advocating on behalf of clients and creating both prenuptial and postnuptial agreements that protect their financial well-being during and after marriage.